27/07/2017 the newbies of Shady Records, Conway and Westside Gun visited Eminem’s sanctuary (his house). 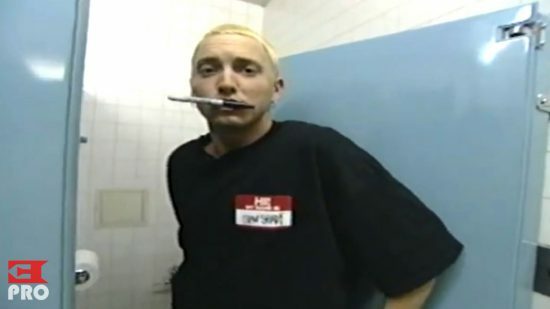 Weird, but Conway decided to make a video and show us what Eminem’s bathroom looks like. As you can see there’s a couple of plaques and and framed magazine covers of him. 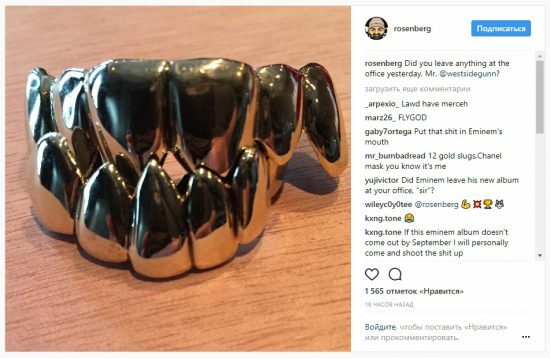 The guys were so impressed with Eminem’s bathroom that Westside Gun left his golden teeth grills at his house.